You'll be £10.00 closer to your next £10.00 credit when you purchase The Second World War's Military Legacy. What's this? 'Necessity is the mother of invention' and nothing is more necessary than victory in war. Driven by the need to defeat Hitler's Nazis and Japanese Imperial ambitions, the period 1939 – 1945 saw huge and unprecedented leaps in the invention and development of war winning weapons and technology. Well=known author and military expert David Wragg has studied the whole range of land, sea and air technical innovations that originated during the Second World War. Most obvious and strategically important is the Atomic Bomb (and its successor the Hydrogen Bomb) but the list is truly fascinating – cruise and ballistic missiles, landing craft, self-propelled guns assault ships, IFF (identification friend or foe), jet engines, sonar, ejection seats to name but some. A number of inventions, while important at the time, had no longer term use; for instance dive-bombers. Others were available but not used until post-war such as in-flight refuelling. The author concludes from his extensive research arguing that there is little new in defence today as so many modern weapons trace their origins back to the Second World War. 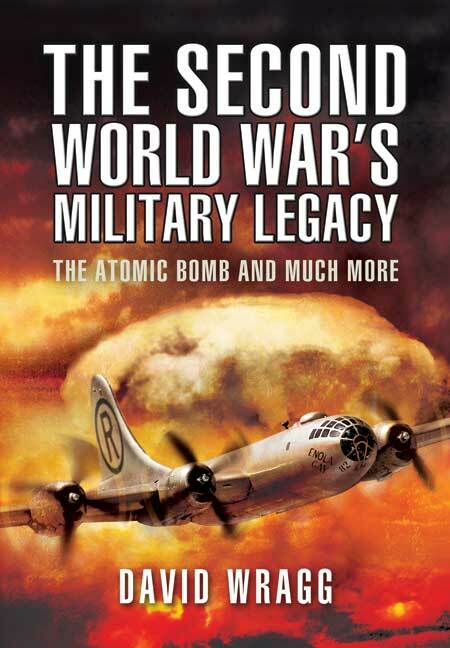 This is an original and thought-provoking book by a highly respected military history author. Many readers will develop a completely new view of the world after reading this book. There may be a number of developments that the reader has not previously come across, but many of the legacy developments will be familiar. What makes this book so powerful is that the average reader is unlikely to have viewed so many things, that are now taken for granted, against the incredible developments of WWII.